Taco Tuesday is a thing now, but you don’t have to relegate yourself to Tuesdays for all your taco enjoyment. We’re not even above having a taco or two for breakfast when the mood strikes! But what makes for the perfect taco? Tony’s Grill is a Pahrump, NV local diner dedicated to making the best in American, Mexican, Chinese, and Italian cuisine. When you dine with us, you’re getting the highest quality, fresh local ingredients, which sets us apart from the rest. Stop by our location at 2610 North Blagg Rd. in Pahrump and see for yourself how incredible our dishes are today! 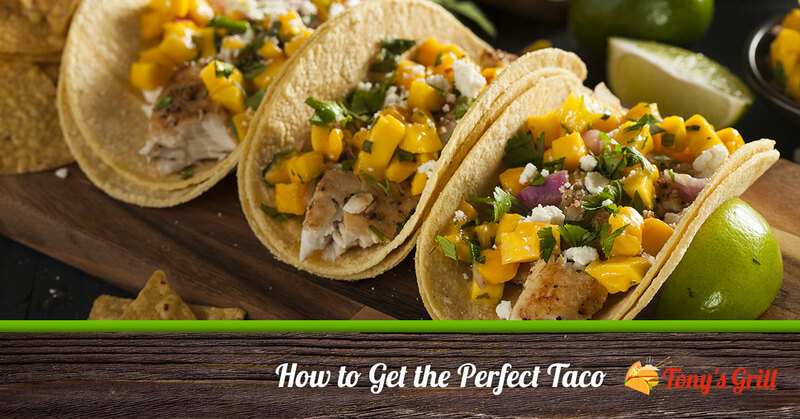 Read on to learn about what goes into the perfect taco. There are tons of options out there for taco shells. You have your soft shell, hard shell, flour, corn, and an assortment of sizes. There is no one-size-fits-all option here, so you can make just about everyone happy with a taco. Ground beef is probably the most common type of taco meat out there, but that’s just the tip of the iceberg. You can also try steak, which creates so many succulent flavors and options for seasonings. Grilled chicken breast is excellent, but so is grilled fish (and we can’t even begin to get into the options available!). Beans are essential to providing flavor and texture, as well as another hefty dose of protein. You can heap on some whole black beans or refried black beans, as well as regular refried beans. There are tons of different types of rice out there: white, Mexican, brown, fried, and so on. And to top it off, you can mix it up with cilantro, lime, tomatoes, and other goodies for a bit of extra flavor. Yes, you do have to eat your veggies, and tacos are a great way to work them into your diet when you wouldn’t otherwise eat them. Lettuce adds some crunch, where corn adds texture and a bit of subtle flavor. Diced tomatoes are delicious (and of course, have a healthy dose of so many essential vitamins and minerals…if you care about that type of thing). We saved the best for last because cheese should be its own food group. You can opt for shredded cheddar or melt it over your taco for a bit of cheesy goodness. Queso is always an excellent way to spice up a dish, but you can go for pepper jack, too. Really, the sky is the limit with the types of cheese you can try! Ready to get your taco on? Head over to Tony’s Grill in Pahrump, NV for the best Mexican, Italian, American, and Chinese food. Stop by now!